The Irish poet and sculptor Dora Sigerson Shorter (1866-1918) was profoundly affected by the 1916 Easter Rising and mourned those who had lost their lives in the rebellion in her verse. Dora was born in Dublin in 1866, the eldest daughter of George Sigerson, a physician, Gaelic scholar and writer, and his wife Hester (née Varian), a poet and novelist. 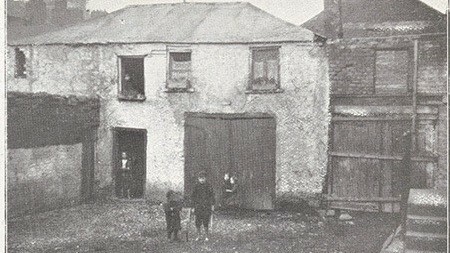 The family home at 3 Clare Street was a gathering-place for artists and writers where Dora met important figures of the emerging Irish literary revival. She attended the Dublin School of Art, where W.B. Yeats was a fellow-pupil, and established close friendships with poets Katharine Tynan and Alice Furlong. The young artist immersed herself in the cultural and intellectual life of Dublin and later of London where she settled after her marriage in 1896. Dora was a prolific writer, contributing to various Irish periodicals before publishing her first collection of poetry, Verses, in 1893. 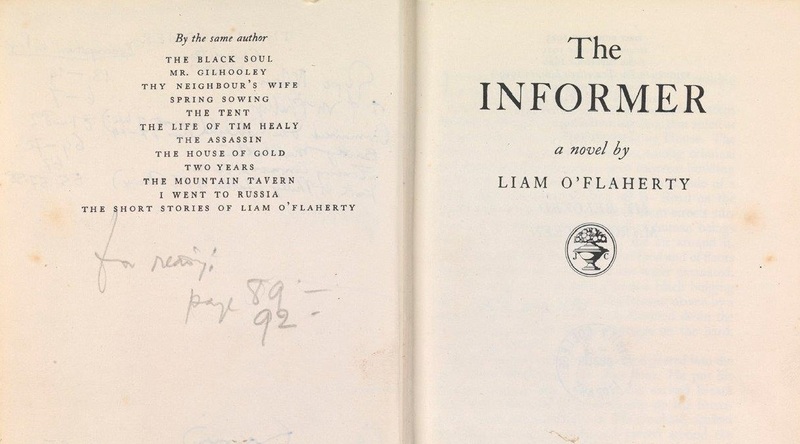 Over the next twenty-five years she published numerous volumes of poetry, two novels, some prose sketches and continued to contribute to various Irish and British journals. We hold much of her published material in Early Printed Books and Special Collections while our Manuscripts and Archives Research Library holds several manuscript notebooks, sketches and typescripts of her work. 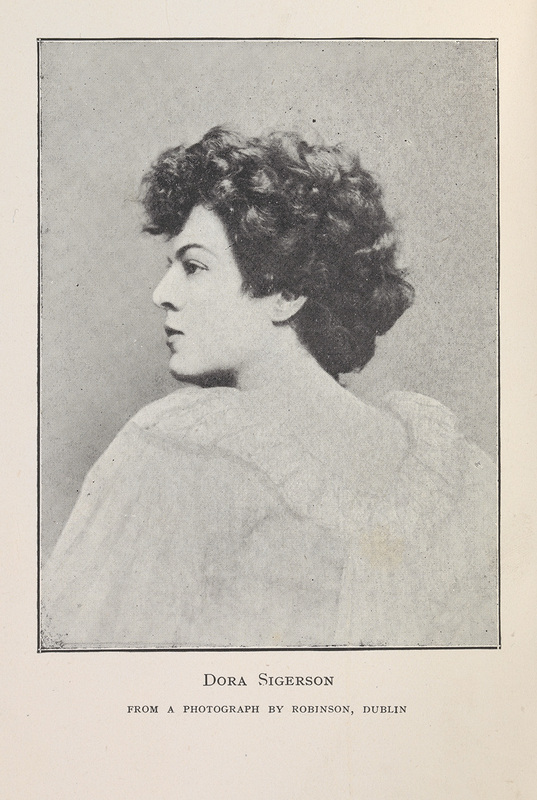 In 1916 Dora put together her collection Love of Ireland: poems and ballads. The work was issued both for general sale and in an edition of 25 copies for private circulation. Much of the verse had appeared in her Collected poems (1907) and in subsequent volumes but a few compositions appeared for the first time. 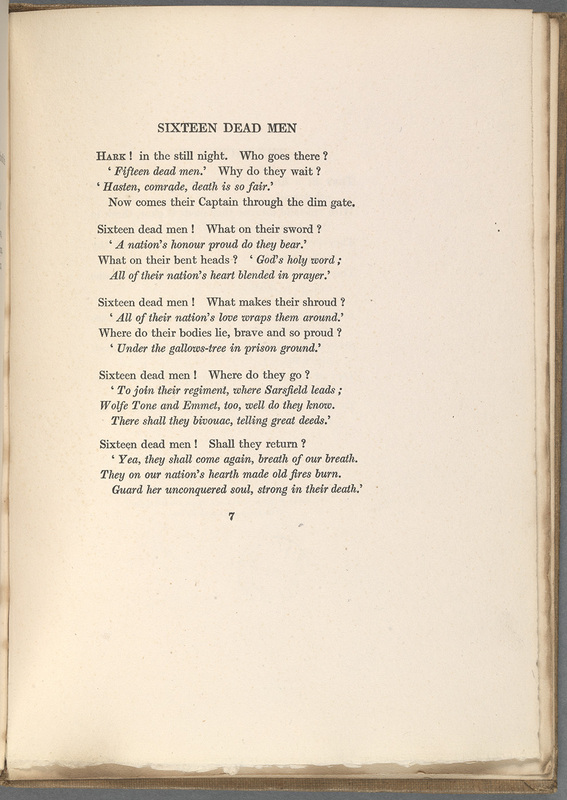 The edition for private circulation included an additional five poems – ‘The hill-side men’, ‘Conscription’, ‘The choice’, ‘Sixteen dead men’ and ‘The sacred fire’ – issued under the title ‘Poems of the Irish rebellion 1916.’ In ‘Sixteen dead men’ the author laments the deaths of the executed leaders of the Rising, while in ‘The choice’ she honours Roger Casement. 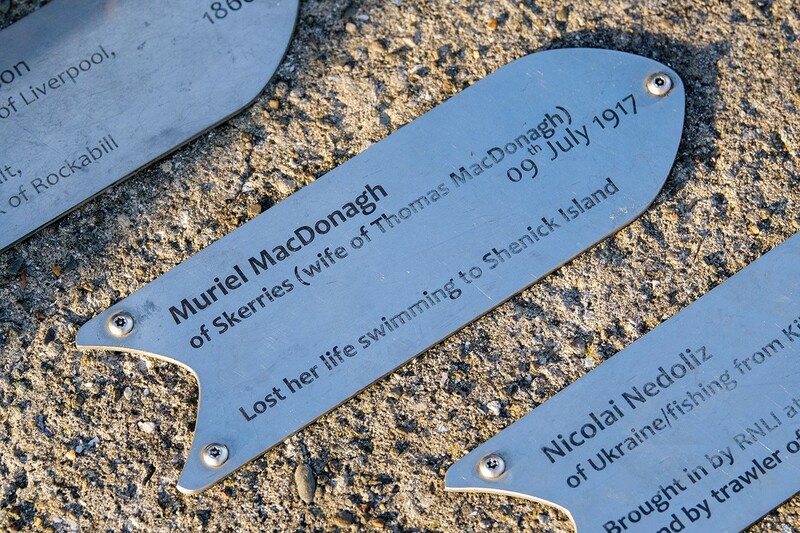 Along with her husband, the journalist Clement King Shorter, Dora had campaigned unsuccessfully to overturn Casement’s death sentence. In the weeks before her death Dora compiled a volume of poetry which was published posthumously in America in 1919 as Sixteen dead men: and other poems of Easter week. 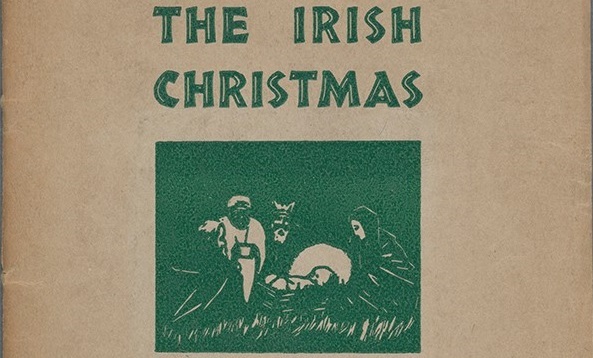 The work was reissued in 1922 as The tricolour: poems of the Irish revolution. In the editor’s note it was announced, ‘any profit that may arise from the sale of the book will be devoted, as are all the copyrights of the author, to a monument which she herself sculptured with a view to its erection over the graves of the “Sixteen dead men” when circumstances place their ashes in Glasnevin.’ The monument is shown here in a plate from The tricolour. 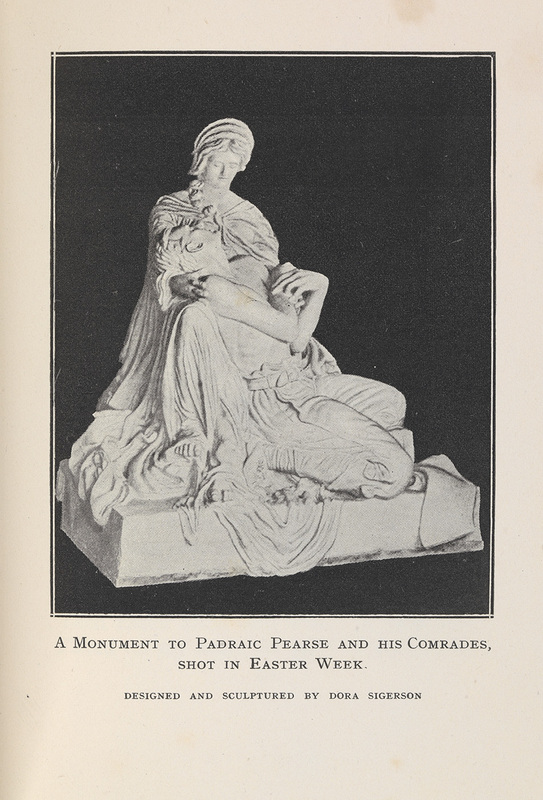 The marble statue evokes Michelangelo’s Pietà in the placement of the figures of Mother Ireland and a fallen rebel. The Sigerson Memorial was finally erected in Glasnevin cemetery in the late 1920s. During restoration work in 2007 a time capsule was discovered in the stone canopy on top of the monument. Although the sealed cylinder was left unopened and later re-interred, it is believed to contain a vellum parchment embossed with the names of all those who died in the Rising.